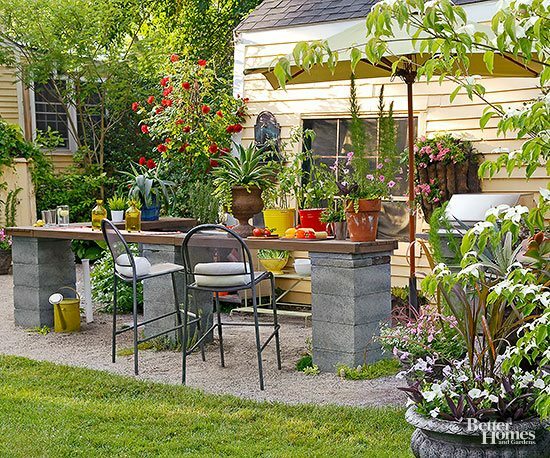 Add some amazing patio pick-up ideas to spruce up your backyard. We have come up with the best patio pick-up ideas for you to try out. 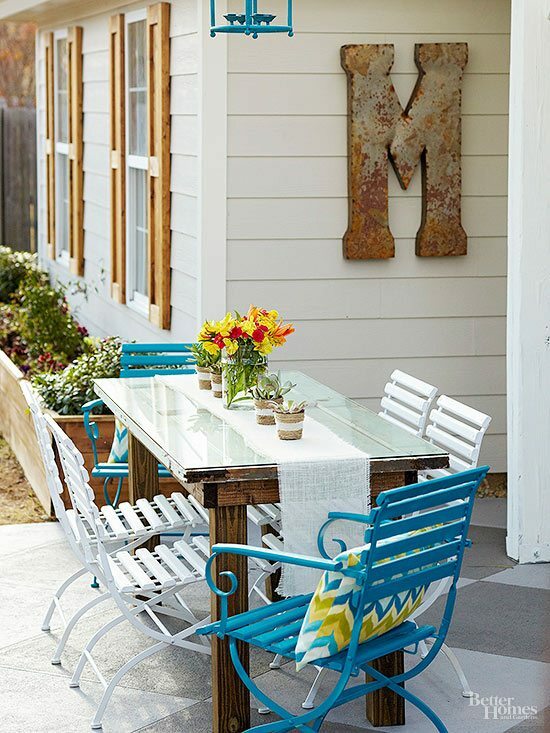 Strike a balance between the modern and vintage with some super savvy touches including a zap of peacock blue, a vintage letter as artwork, the gray and white checkboard concrete slab and go for a centerpiece of some plants sunk into twine-wrapped pots. 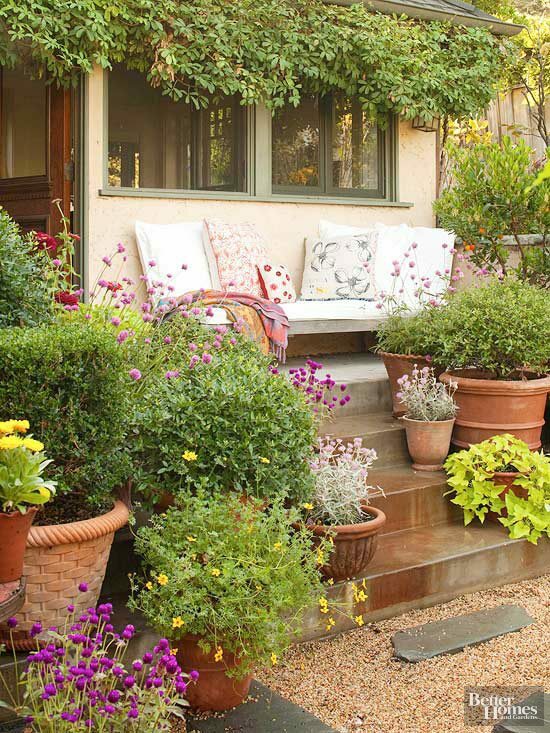 Tuck away a little bench in the middle of the garden sheltered by a leafy canopy, coupled with pillow and surround it with billowing potted plants. The L-shaped table stretches so long that it accommodates a lot of people and feed them all kinds of food and drinks. Heavy duty concrete block pillars can hold the wood planks for a sturdy weatherproof table. 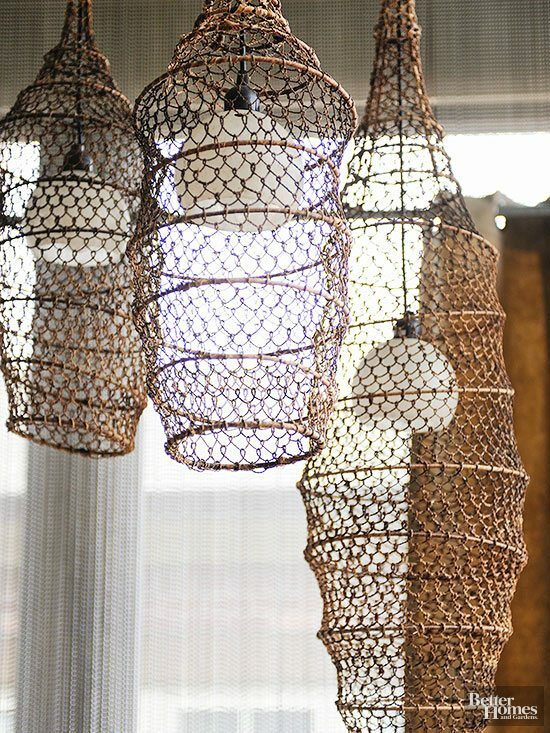 Gather almost any container that transmits light, be it the large jars to the open-weave baskets like these that can stand in as a shade on an overhead pendant. Run a cord through one end of the basket and screw in the bulb and a glass globe. Flip the switch. Hang a whole throng, rather than just one that give the fixtures even more of the spotlight. Spike a tall garden container with bright blooms. Tuck the pot in a corner of the doorway or marking a path. 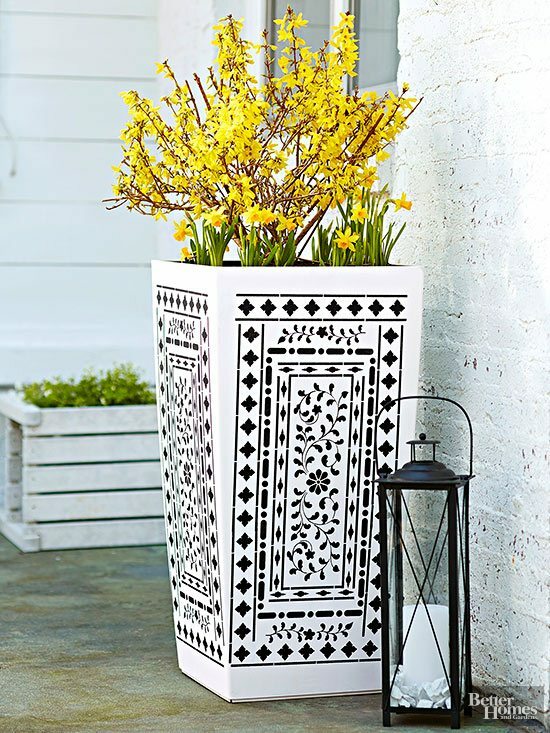 Such hefty containers add excellent visual weight to an outdoor room. 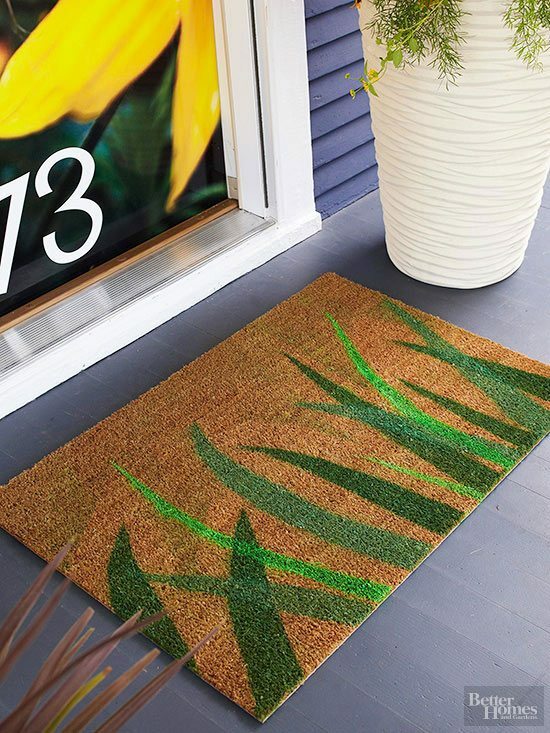 Let into your creative side and try out the stencil art on a plain door mat. We prefer brown. 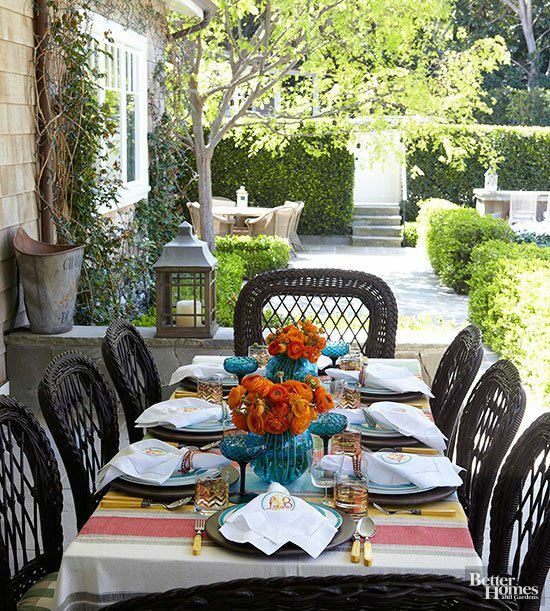 There is no reason why you can’t take everything inside on a dining table outside on to the outdoor dining table including cloth linens, awesome centerpieces and even real glassware. 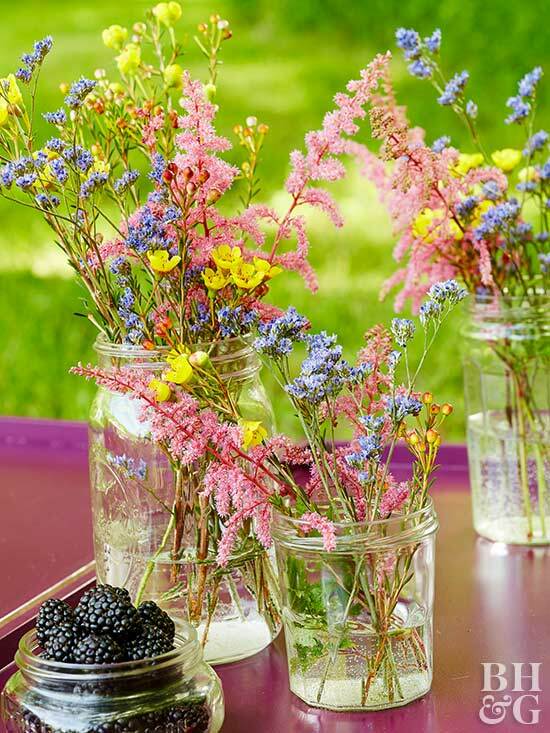 You don’t even need fancy jars to show off some wildflower bouquets on the outdoor tables and side tables. Try out a set of old jelly jars instead. Toilet Roll Tubes; upcycle them this way!